Pianist Chucho Valdes is still inspired by his Cuban family, as Gabriel Wilder reports for Australia’s The Age. Family dynasties are the backbone of Cuba’s rich musical history. Big bands that were formed during the golden age of Cuban music – the 1940s, 1950s and 1960s – are still performing today, with the son of the founder at the helm (and sometimes the original bandleader as well). Latin-jazz great Chucho Valdes began learning piano when he was three, at the knee of his father, Bebo, a bandleader. As a teenager, he joined his father’s big band, Sabor de Cuba (Taste of Cuba), which had a residency at the Tropicana nightclub cabaret. Havana in the 1950s was a holiday hotspot, and the Tropicana was one of its most popular nightclubs. One would think that being the boss’s son would have been a nerve-wracking experience, but Valdes says that his father prepared him well, and besides, the orchestra itself was just part of his son’s education. “He put together Sabor de Cuba, so that I could play at the level of a director and not only play jazz music and dance music but accompany the shows at big hotels like the Hilton that had very big productions where I had to play all types of music,” Valdes, 71, said. Studying, working and living together proved no hardship for father and son – “it was easy really, we always had very good communication” – but things changed after the revolution. Like many others Bebo left Cuba. He settled in Stockholm after marrying a Swedish girl he had met on tour. After that, father and son communicated largely through music. 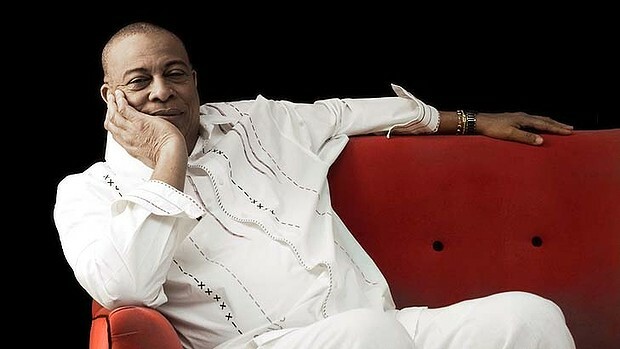 Chucho stayed in Havana, leading his Latin jazz combos and, in the 1970s, the groundbreaking Irakere, who fused just about every style of music known to man into a Grammy award-winning combination that still inspires Cuba’s musicians. “When he was in Sweden, I sent all my discs that I had made with my first group, the discs I had made as [musical] director, I sent the discs with Irakere; the piano solos,” Valdes said. In 2007 father and son recorded an album of piano duets called Juntos para siempre (Together Forever) in Spain. Valdes was 65 and Bebo, 88, yet Valdes says their working relationship was just as it always had been; Bebo the father and Valdes the little boy. “It was very funny because my father treated me like I was eight or nine years old, like always, because for the parents, children are always children. And I felt the same. I felt he treated me like a child even though I’m very old. It was hilarious,” Valdes said. The album, which won the two musicians a Grammy and a Latin Grammy (two of eight in total for Valdes jnr), was Bebo’s last. On Valdes’ new album, Border Free, he celebrates not only his father, but his mother and grandmother, in songs he has titled after them. Bebo died in March but not before hearing his son’s tribute, a swinging Latin-jazz track and one of three that features American saxophonist Branford Marsalis. The song dedicated to his mother, Pilar, is a lovely piece featuring bass played with a bow and a disarming classical interlude. “She is still lovelier than the song,” Valdes said. Malaga, in Spain, has been Valdes’ home for three years. He visits Cuba regularly, but says he tours so much, that he tells people “I practically live on a plane”. Chucho Valdes and the Afro-Cuban Messengers play at the Sydney Opera House on June 12.